Tweet I’ve had the honor of interviewing legendary front man formerly of the band Yes, Jon Anderson. He has a new album out called “Survival and Other Stories,” that if you’re a fan of Jon’s you’ll definitely love. In away it’s like Yes, but much more cinematic. 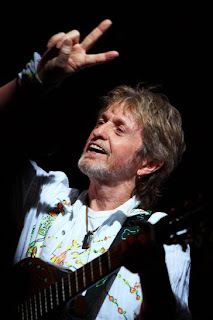 I hope you enjoy my interview with Jon Anderson. Zoiks! : How are you doing? Jon Anderson: I’m doing fine Bob, how are you doing? Z! : I’m a fan of your new album “Survival and Other Stories,” to me the album has a cinematic almost visual sound to it, how would you describe the album? JA: Just the way you did (laughs) you hit the nail on the head. It is very cinematic. Z! : Correct me if this is in accurate, but I read online that you openly invited users via your website to submit mp3 samples as a basis of collaboration, is that true and if so how much of that was used on the album? JA: I think 2/3’s of the songs are from people around the world. 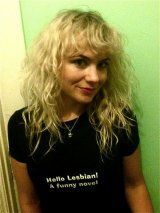 I put an ad up on my website that said I wanted to work with people, invite them to send their mp3s and musical ideas. I had hundreds of people send me stuff, but I picked out people that I thought were very connected to where I wanted to go musically. When the music comes, it is really exciting. Z! : Your album appears to be very positive, very spiritual. I that the general theme to the album? JA: Well I live in a very positive world. I’m very optimistic about life and the amazing world we live in. I don’t really think about anything else so naturally I sing about it. JA: Actually it was Kevin Shima who did the arrangement, he threw that in and that’s what made me feel very strongly about using this music. I already had the song, the thinking was that if he wanted to use a backing track for this it’d be great and Kevin used “We Have Heaven” and so I left it. Z! : One of the songs on the album that stands out to me is “Unbroken Spirit,” does that song have anything to do with your former band Yes carrying on without you after you suffered acute respiratory failure? JA: It was more about in 2008 I had several operations. The composer, who lives in L.A. called Jann Castor and he sent me the music and it really…I could feel my heart believing, so I started singing about my experience with having operations and how the spirit is very song and is in there for life. Z! : You’re heading out with Rick Wakeman this fall, what can fans expect from your shows with Wakeman? JA: A lot of good music. Of course we do songs that we wrote together for Yes. Plus we have an album out now called “The Living Tree,” which we sing songs from that. We talk about our life together on the road. Rick is a stand up comedian, so he has people laughing a lot, so sometimes it’s hard to get back to the singing. Z! : Yes has probably had more lineup changes than any other band, was it just difficult to keep all of the members satisfied or were there other reasons? JA: Changes happen; I think change is very healthy. It’s a very simple idea, if you’re in a band and if people come to rehearsal and they’re not very excited about the project coming up it’s best to find somebody else who wants to work in the band. More or less the times when people said, ‘hey I’m not really into this music, so I’m leaving the band.’ So they leave. Sometimes you can sense when somebody is not really working for the band and you say, ‘hey I think we should get someone new.’ It’s a normal thing; it’s like a soccer or football team. If they players are playing great you do great stuff, you’re winning, but if they’re not really training or not really interested, it’s best if they leave. Z! : Have you kept in contact with any of the former members? JA: I’m always in touch with people. I speak with Bill Buford now and again. Rick of course, Peter Banks who was one of the first guitar players (in Yes), I spoke to him a couple of months ago. But you know, I’ve got a life, I’ve got a lot of people I’m in touch with, so I don’t really feel like I have to be in touch with the guys in the band. Z! : Over the years, Yes has gone through different eras, you had the progressive era in the 70’s, the more popular era in the 80’s and then kind of a combination after that, what was your favorite era of the band? JA: I think all of the work that I did with the band was really interesting. Probably the best period was the beginning, “Fragile,” “Close to the Edge,” “Topographic,” “Awaken.” “90125” was very exciting, because I became a rock star for fifteen minutes, that was really fun. The ‘90’s we created some damn good music. The last album we did called “Magnification” is still a very powerful piece of music. I honestly feel that there is always great music, so I always feel like my next project is going to be very important to me and I hope people get a chance to hear it. I’ve had a wonderful wonderful career up to now. Z! : I’ve always been curious how some of those long complicated songs like “Rounadabout” or “Close to the Edge” come together. What is the writing process for songs like that, do you as group sit in a room and work on them or is there a designated songwriter, how did/does it work? JA: I would sit down with Steve (Howe) in the early days and work out the long form pieces, because I was interested in those projects. As time went on I would drive the band to do long form pieces like “Gates of Delirium,” I wrote that whole piece on the piano. I learned over the years to be able to know where the music can go. I am finishing a new piece now that will be coming out before Christmas and it is called “Open.” It’s a very long form piece of music. I love doing that; I love creating these long form ideas. Z! : How is your writing process different as a solo artist? JA: It’s just me and the guitar. I have a lot of fun on stage singing the songs I wrote with Yes plus new songs, songs I wrote with the Vangelis. I tell stories about my life. I’m 67 this year, so I’ve had a very interesting life, so it’s nice as a solo artist, to be like in my front room with people just having a lot of fun. Z! : You have such an amazing catalogue of music to choose from over the past forty years or so, how important is it for you to keep adding to that catalogue of music? JA: I’ve been writing all morning. I’ve written two songs this morning. I’m working with a young guy, a great percussionist in Philadelphia. I’m sending him ideas that I want to do, which is ancient Ethiopian music, which is the kind of world I live in, very adventurous. Z! : I read your take on the new Yes album in “Rolling Stone” magazine. I liked the new album, I thought it was ok, but I think I would have liked it more if you were singing on it, not to take anything away from Benoit David, because I can’t imagine it’s that easy filling in for a legendary rock vocalist like yourself. JA: He’s a good singer, I heard him just the other day. I haven’t listened to the whole album I only listened to a couple of pieces, it’s not my idea of Yes music, and it’s just really ok, kind of like what you said. It didn’t blow my mind. Z! : Back to the interview with “Rolling Stone,” you mentioned that maybe if Yes ever gets into the Rock n Roll Hall of Fame that may trigger a reunion with the guys. My question is why do you think Yes has been kept out of the rock n roll hall of fame? JA: I don’t know, I was there last year, I did a concert at the Hall of Fame and they were very sweet and very nice and they said they can’t wait for Yes to be there. I think it is just jury…I think it is just like five people who don’t like Yes or something like that. Z! : You’ve had an amazing career, is there a moment, album, show, whatever that stands above the rest? JA: It’s hard to say. I’ve been very very lucky. I’ve got so many great memories. Obviously performing “Close to the Edge” the first time, “Awaken” when we performed that. “90125” the tour, we toured all over the world and we were number one and we put on a great show. So I always think to the future and the better things that I got to do. I’m only half way through what I really want to do. I’ve had so many great experiences. Z! : What do fans have to look forward to from Jon Anderson in the next year or so? JA: Obviously I feel like I’m writing some really great music right now, because I think it would be stupid if I said, ‘well the music I’m doing is not so good.’ (laughs) I think my best work is coming. People can go to my Facebook and see songs that I put up there that I just do, which is really interesting music, it’s not for sale, people can just listen to it. Z! : Thank you so much for taking the time to do this, that’s all the time that I had, it’s been an honor to talk with you, you’ve been one of my favorite singers since I was a little kid. JA: Thanks Bob, I wish you well.